CLAY was among Google’s top “skincare” searches of 2017. With so many kinds & brands – which clay is right for your skin? Not just a fad, even Sephora’s best-selling product 4yrs in a row now is GLAM GLOW’s SUPERMUD mask (AKA the clay mask on crack!) It’s evident clay works. Here’s all the schtick in MY FIRST EVER YOUTUBE VIDEO on which clay is right for your skin! Breaking it down by color, GREEN – RED – PINK. For myself, when shopping going in by color just makes the whole picking easier. Mix clay masks, with water – but also add in some fun! GREEN clay: add in a few tsp of aloe vera gel or apple cider vinegar. When mixing RED: I’d add rose water or a nice hydrosol, like lavender… PINK clay masks, my mixes are always simple – distilled water, a few tsp of jojoba oil or rosehip oil… See it all in the video below! Thanks for anyone who watched, or even better “liked”, “commented”, or “SUBSCRIBED!” Videos seems like the right next step for my blog. Plan on posting some DIY skincare recipe videos soon too! 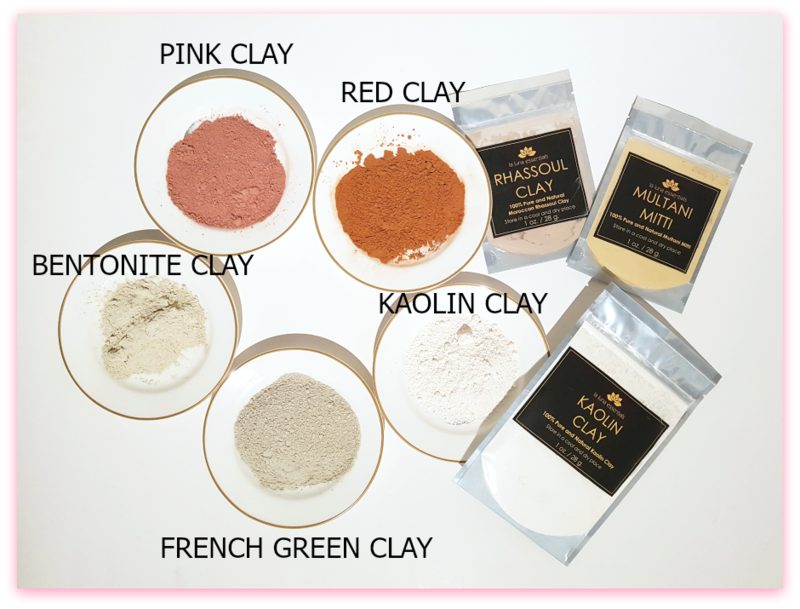 It’s impossible to cover all the clays in the world, I realize lol- but again… I hope my tricks help simplify your clay, mask making ,life! 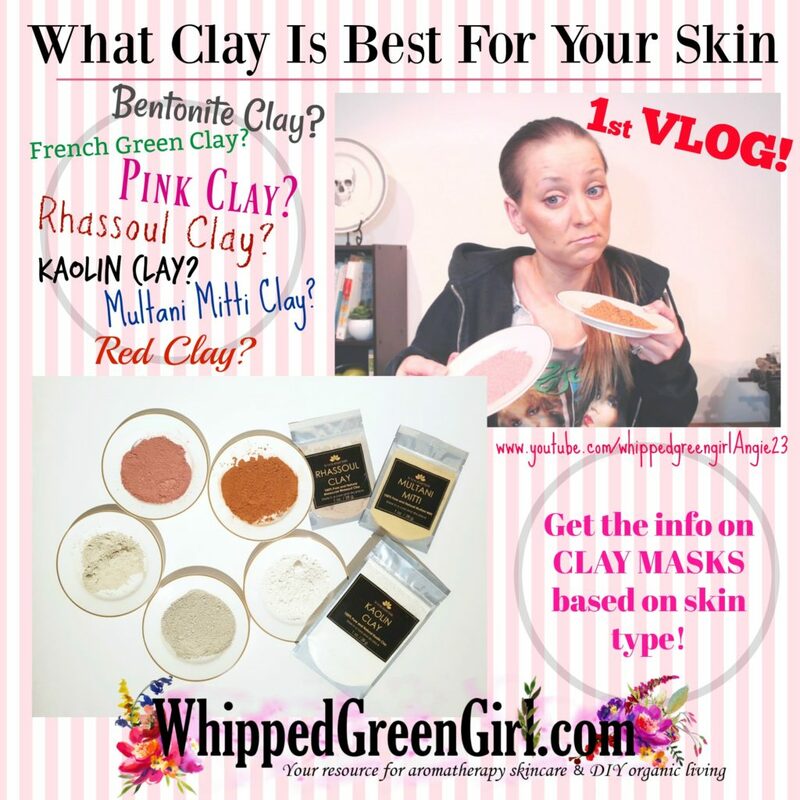 Thanks so much for reading or watching: Which clay is right for your skin! In need of a fun pink clay mask? Check-out my “Pink Clay Banana Face Mask” recipe! More videos coming! Getting the whole editing thing down is no walk in the park – thanks VSDC for getting me this far xo!